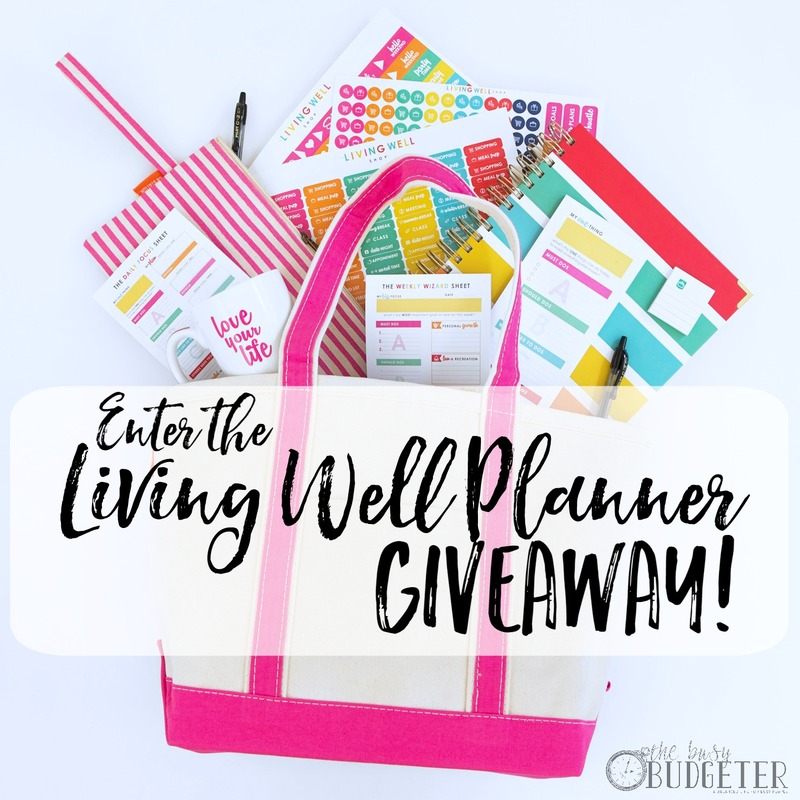 Enter the Living Well Planner Giveaway! I’m beyond excited about this giveaway. Who wants to get a top of the line super fancy planner and ALL OF THE THINGS for free?!? After about a Bajillion and one (totally a made up number) emails from readers asking for a giveway for this planner, I finally managed to make it happen! As you might know, I don’t really do a lot of these -but you guys asked for it. Total kudos to Ruth Soukup and Living Well Spending Less for helping us make this happen. She’s the creator of Elite Blog Academy, the course that changed my life, the one that I credit all of my blogging success to. She also created the only planner that I never got sick of (I'm a total planner addict). This is my second year using the Living Well Planner and it's the only planner I've found that I haven't abandoned after a few months of use. (Which is basically the holy grail of planners). It's even better than I asked though, they did us one better and offered up the ENTIRE Crush It Collection! In this giveaway, one of you will be getting the Crush It Collection (a $160 value) including the planner for free. It’ll help you set and reach all your goals this year! Seriously, this bundle has everything you’ll need to absolutely crush your goals this year. But let me talk about the planner for a second because it’s my favorite planner ever. And that means something, because I geek out over planners. What I love is that it has a section for everything you could want to plan out: your budget, your meals, your daily/weekly/monthly goals, everything. It’s truly a life planner in that you can organize your entire life within it. Plus, it’s high quality. The papers are thick and sturdy, so I don’t have the issue I used to have with the rings failing and papers falling out halfway through the year (the worst!). The basic point of the course is to help you set goals and break them down into baby steps so you’ll actually achieve them. So no more New Year’s resolutions that fail by January 3rd – you’ll have access to a blueprint to help you meet your goals and succeed. You can enter to win from today until January 26th at midnight! You can see the entire collection (or just buy it if you're way too impatient for the giveaway) here! What an awesome giveaway! 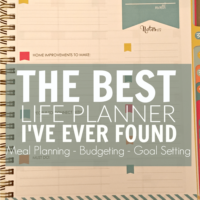 The Busy Budgeter has changed my life!! I would love to win! I love how everything is organized by month! What a an awesome thing to win!! I love the colors and the budget pages!! I am a planner junkie and am thrilled with this giveaway! Thank you! I have been looking at this planner repeatedly and haven’t pulled the trigger! I would love to win!!! I like that it has the budget, a planner and goal setting all in one. Thank you for the chance to win. I love this planner, I would be great full to win it. I need all the help I can get planning and organizing everything. Thank you for the opportunity! 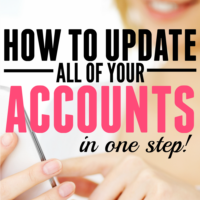 New to your blog….would love to win! This would be awesome! It would keep me on track for sure! I have been looking at this planner for so long!! I haven’t wanted to pay the price but maybe its worth it?? This is an awesome giveaway! I hope I win!! Absolutely a wonderful giveaway. I enjoy all that I am learning from your blog. This is a new year! We just had a baby which definitely made finances tighter! I just signed up for the budget boot camp and inner this awesome planner would help me stay organized ? oops . . . .my twitter is Callie1981, not Callie1978, under my entry for “amber” thnx! Would love to win this!! Great for the new year!! Would love to win this hoping it can help .e keep things organized andaybe I will no longer leave my grocery list on the counter at home. I’ve looked at this planner a few times but just haven’t pulled the trigger…great giveaway! This planner has been on my wishlist for a long time. Oh my gosh!! I soooooo need this planner!! I hope I win it. If not, then I will just break down and buy it! It would help out so much with my new blog. Thanks so much for the giveaway. What a great way to start off the New Year! So cool, I would love a new planner! I love the colorful design but most of all I love how *comprehensive* this planner is. I’d love to give it a try! Wow!! I just started your 90 day budget boot camp today!! This package would be amazing to use along with my journey to financial freedom. 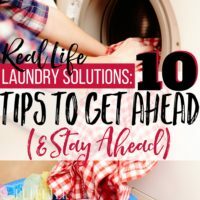 Love your blog and all your resources. Thank you. Fabulous! I’d love to win! I would be excited to win this! This would be great to win! I can’t afford this planner right now but have wanted one for years! This would be just what I need to get my rear in gear! But I may also give it to my friend that also needs help!! I love this planner!.the colours are so zesty, it’s like being in a craft shop, you just want to get it and work with it. It is so complete, everything has been thought of! I like the monthly organisation and the goal oriented pages. 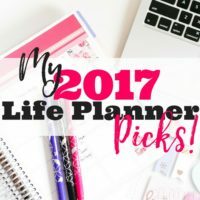 The budgeting section will come very handy as it is something I need to work on this year! Thank you for your review, it was so interesting! I would love to win this bundle! I’m working in getting my life back together and in order after a pretty rough end to 2016. New year, new beginning, new motivation.